Le Case di Dorrie || About Umbria - Where is it? 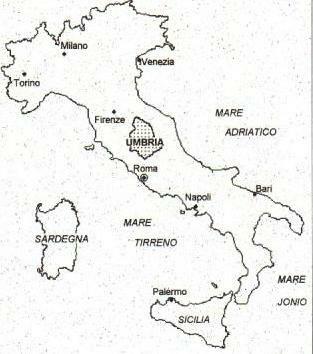 <?xml:namespace prefix = st1 />Umbria lies at the very centre of Italy and is known as 'The Green Heart of Italy'. Although it is land-locked it has some wonderful lakes and both coasts are within an easy day trip by car. It's a great place to explore the rest of Italy too!